My interest in dance began with piqué turns and a whole lot of sequins. I was introduced to dance when I was in middle school. There I learned several styles including ballet, jazz, and lyrical/contemporary. I took part in several competitions with the dance team of this school. Afterwards, I loved dance so much, I knew I had to continue. During the next four years, I took classes outside of school, primarily ballet classes. After a year and a half, I began pointe. But once I started coming to Cal Poly, I wanted to try another form of dance – one with more room for creativity and spontaneity. I began going to ballroom lessons on Thursdays in the Fall of 2015. I convinced a friend to come with me so I wouldn’t be the only beginner. Beyond a few classes, I started with very little experience in ballroom dancing. As it turns out, the majority of people at the lessons were also beginners! From the first lesson, I felt very welcomed by everyone in this club. These Thursday night dance lessons started as a stress-reliever activity, but became something I genuinely enjoyed and looked forward to. I wanted to learn more styles and become more involved with the club, so I decided to join the team in the winter. 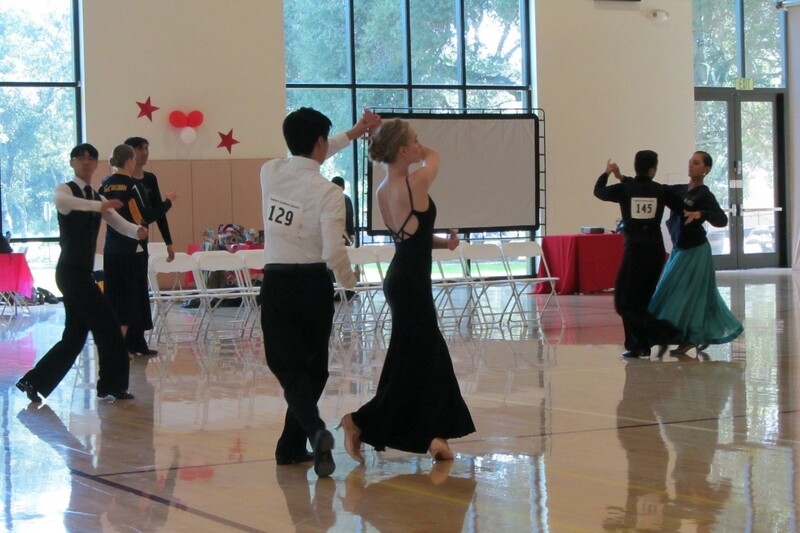 It wasn’t until Spring quarter that I participated in my first ballroom competition at Stanford. I look forward to learning new dance steps and participating in more dance competitions this year! Whether you have dance experience, and especially if you don’t, this is a club fit for everyone! If you are hesitant to go to lessons at first, like I was, bring a friend along! This club provides a supportive and friendly environment to learn a variety of ballroom dance styles. I encourage anyone who is interested to attend a lesson! But be warned: once you begin dancing, you’ll never be able to stop!